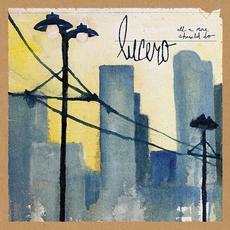 It's been a long slow build, but Lucero are now firmly planted among the elite of Alt Country. Through hard work and great albums they are finally starting to receive the recognition that they deserve. On September 18th the band try to expand their audience even further with the release of their new studio album All A Man Should Do. Of course Ben Nichols' gravelly voice is front and centre on every last one of these songs. However, it's the horn section that takes a more prominent place arguably than ever before. The horns add a sheen to the otherwise gritty "Can't You Hear Them Howl". The otherwise modern commercial country of "They Called Her Killer" is thrown for a complete loop with the brass flourishes. The playful "Throwback No. 2" builds into a grand horn-fueled rampage as it concludes. Perhaps nowhere is the horn section more in charge than on "Young Outlaws". It's obvious that the track owes its very existence to David Bowie's "Young Americans". The album also contains far less debauchery than their previous efforts- or at least it seems that way. It's introspective musings on subdued tracks like "The Man I Was", "Baby Don't You Want Me", and the memory-laden "My Girl & Me In '93" that replace the tales of booze-addled affairs. All A Man Should Do is a different kind of Lucero album, but one worth experiencing. Lucero play Lee's Palace in Toronto on October 15th & 16th. Best tracks: "Can't You Hear Them Howl", "My Girl & Me In '93"